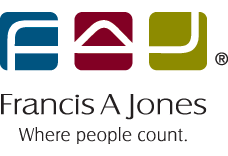 We offer a corporate services package to clients of Francis A Jones for a low fixed annual fee, which enables us to act as your registered office and take care of all of your ASIC and corporate requirements. The Corporations Act is complex, and many of its laws apply equally whether you own a small $2 Corporate Trustee, or a large operation. Some of these laws are quite onerous and without a good working knowledge, its possible to make an inadvertent error as a company director that could prove costly to you or your company. See this link for more information about your company and the law. Too many times we see businesses paying needless late penalties to ASIC because they haven’t lodged a simple form on time. When you nominate FAJ as the registered office for your companies, our team will maintain your corporate registers, review your annual ASIC statement, and lodge all necessary forms in a timely manner. We attend to all corporate secretarial requirements such as transferring or issuing shares, changing or adding new officeholders, paying dividends, share buy backs, reconstructions, deregistration or any other corporate matter you may have. We can also provide advice and assistance with corporate planning or re-structures, including the tax and CGT consequences. We are fully conversant and experienced with all aspects of Australian Corporation Law. Francis A Jones has been providing corporate services to businesses from it’s Fremantle premises since our establishment in 1930. Our years of experience ensure that we are capable of handling all of your corporate needs. 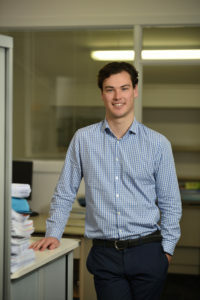 For more information about our corporate services, contact the team at FAJ at email@faj.com.au.